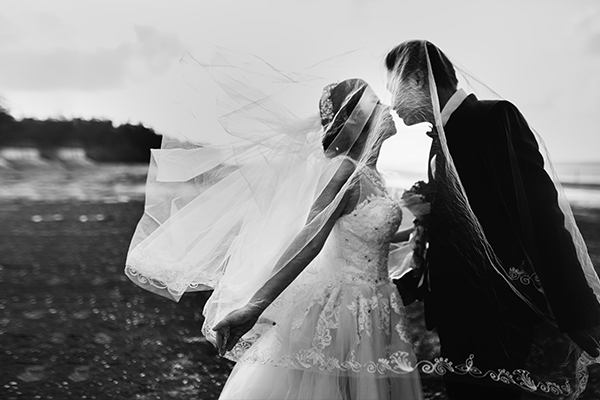 The rule of thirds has been a popular photographic and art concept for many years. Basically, you divide your image with imaginary lines to create 9 equal segments, and it’s on those lines and where they intersect you place your points of interest. 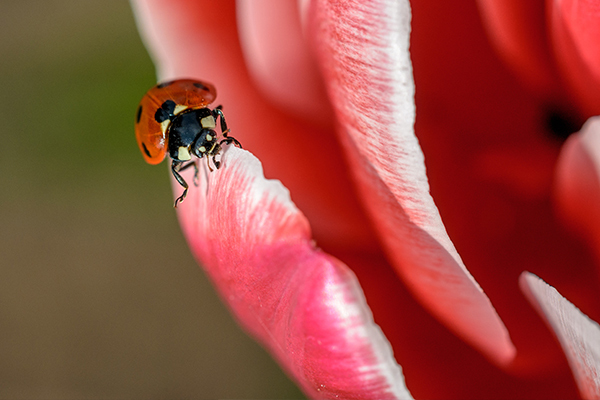 You can see from these examples that the off center nature of this tip makes the image more interesting than just placing the subject in the center of the image. It is also a good reference for the horizon. There is nothing worse than having a picture cut in half by having the horizon exactly center, this makes the image feel like 2 separate pictures with the top and bottom half both competing to be the star of the shot. The only time this works is if you are using symmetry in the image. But with most landscapes make one third of the image the hero of the shot. 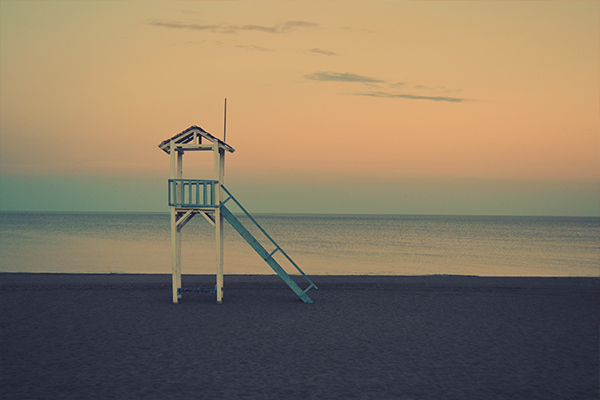 It adds balance to the picture having the horizon on the top or bottom third. It will help you to direct your viewer where you want them to look and what is important. Rule of thirds is also a great way to highlight your subject when working with macro and close ups. Editing software comes with the rule of thirds grid when your are cropping your images so play with the edits, play with the crop and experiment. 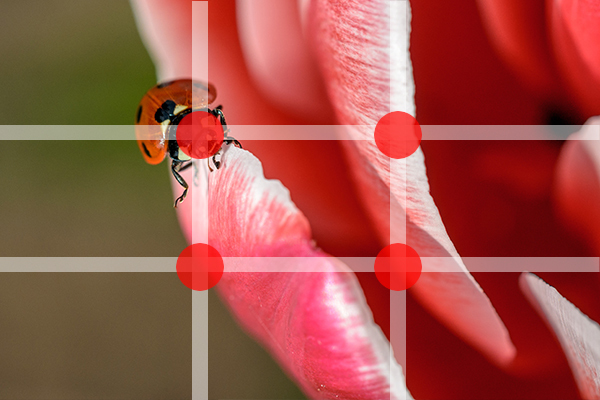 See if the rule of thirds works for your images. 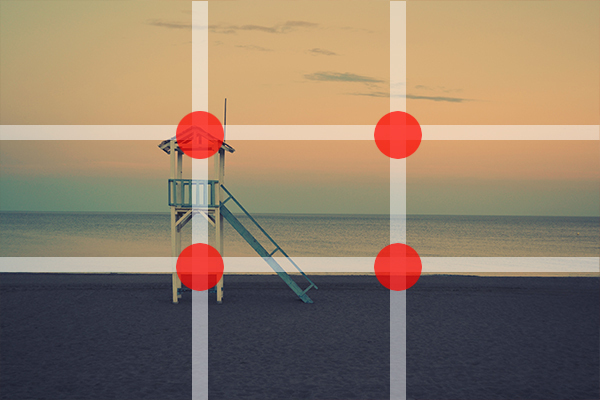 When using Rule of Thirds chop the image into 9 equal blocks and use the lines and the intersecting points to place your horizon or point of interest on. Use this rule to highlight the hero of your shot. 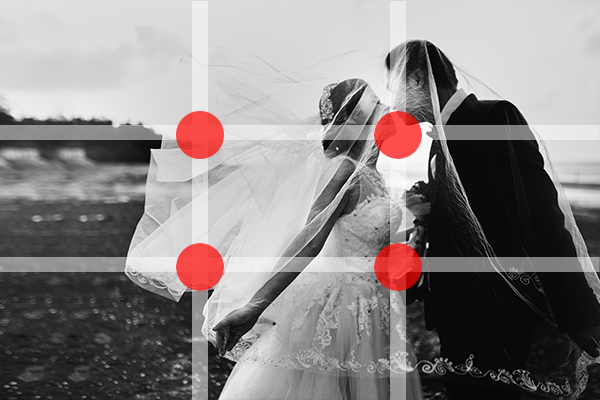 Take advantage of the built in rule of thirds grid that you will find in most editing software.